Things have been a little quiet around here and they’ll remain so for a bit longer. I am involved in a project at work that also requires some travelling among other things. So, my next post should come up in 2 or 3 weeks from now. I hope to see then. The Locus Science Fiction Foundation has announced the finalists of the 2015 Locus Awards. The winners will be announced during the Locus Awards Weekend held in Seattle, WA between June 26th and 28th. Aliette de Bodard’s “The House of Shattered Wings” is not the only title coming at the end of summer/the beginning of autumn from the science fiction and fantasy imprints of the Penguin Publishing Group that I am looking forward to read, Zen Cho’s “Sorcerer to the Crown” caught my attention as well. I first discovered Zen Cho’s fiction in Jonathan Oliver’s anthology, “End of the Road”, her story “Balik Kampung (Going Back)” was one of the highlights of that collection for me. That short story led me to “The House of Aunts” published on GigaNotoSaurus in December 2011 and to my desire to read more of Zen Cho’s fiction. Sadly, the fulfillment of my wish got postponed, I lost Zen Cho’s collection of short stories, “Spirits Abroad”, among the tangles of my to-be-read pile of books. I am confident I will correct that, perhaps not before “Sorcerer to the Crown” is released, but someday soon for certain. 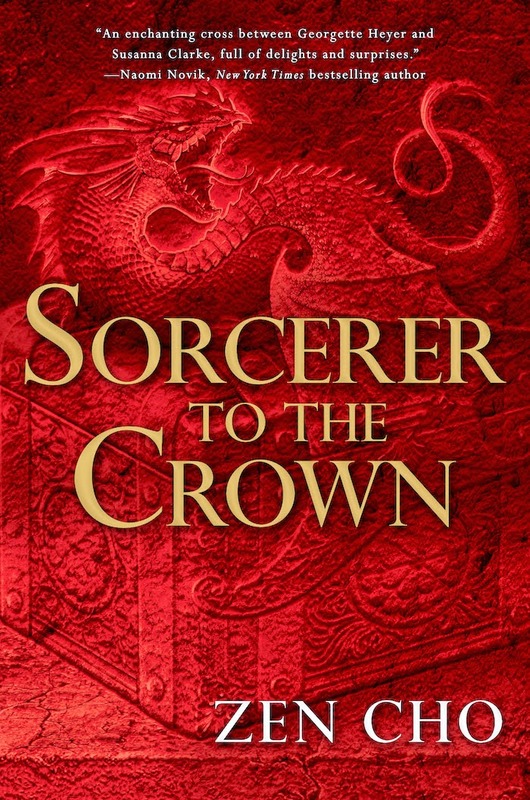 As it is certain that I’ll be reading “Sorcerer to the Crown” when it is published this autumn. At a first glance Zen Cho’s debut novel doesn’t sound exactly right up my alley, but her two short stories I read convinced me that “Sorcerer to the Crown” deserves a fair chance. Not to mention that going outside the safety box of my usual readings proved on several occasions to hold plenty of benefits. Still, looking over Zen Cho’s guest post on the Barnes & Noble Sci-Fi & Fantasy blog I discovered further points of attraction for me at “Sorcerer to the Crown”. I like the cover quite a lot too, the color appeals to me and the sensation of bas-relief is excellent, while the dragon looks great. It doesn’t say much about the actual novel, but I still like it. With all these in mind I am waiting with great interest the release of Zen Cho’s “Sorcerer to the Crown”, on September, 1st by Ace Books in the US and on September, 10th by Pan Macmillan (cover not yet revealed) in the UK.